We contact our customers every day to find out about their recent service because their comments and reviews help us serve our customers more effectively. 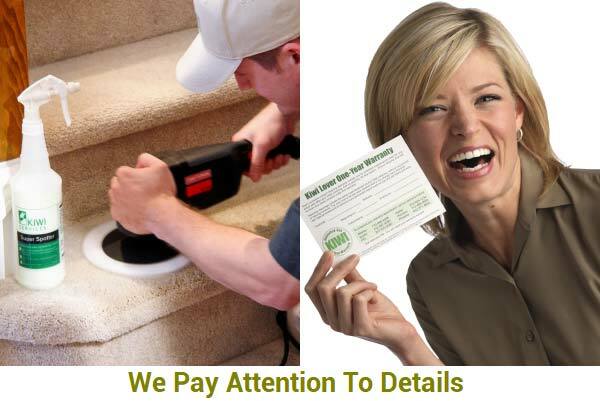 Here are some of our most recent KIWI carpet cleaning reviews as well as comments about our other services such as carpet repair, carpet sealant, upholstery cleaning, and water damage repair. These KIWI Services reviews were not altered before being posted on these pages. You can also read more KIWI Carpet Cleaning Reviews on Insider Pages. We find that our customers have a lot of great feedback to provide. They use many websites to report their experiences, which helps us to see what we are doing well and where we may need improvement. Without this valuable feedback we couldn’t succeed in our mission to improve the quality of living for our KIWI lovers.